You’ve come to right place if you’re looking for minibus hire with a driver. 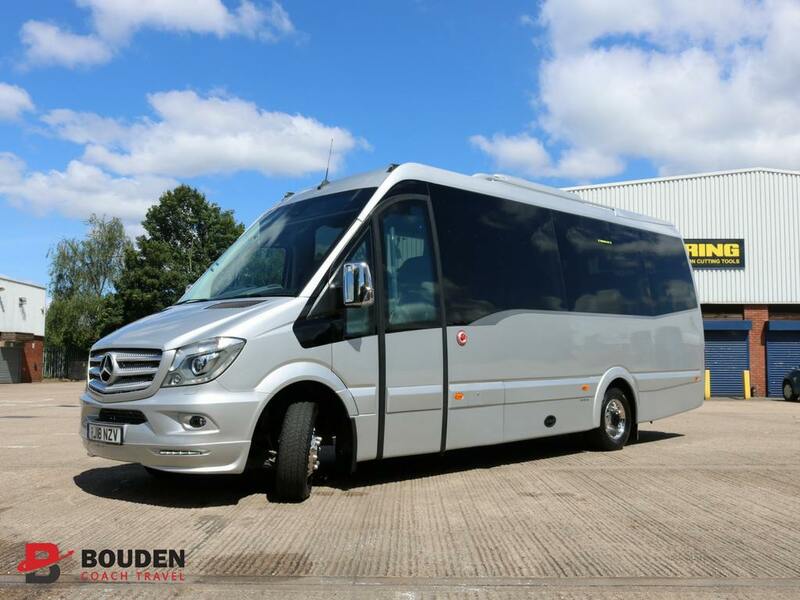 Bouden Coach Travel is a minibus hire company with an extensive range of standard, executive and luxury class minibuses to hire with a driver. Our minibuses range from 8 seat capacity to 24 seats and larger for coaches, we are able to accommodate groups of any size. 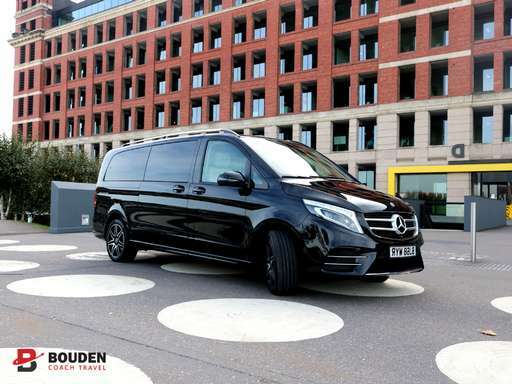 Whether it’s a simple airport transfer, school trip, wedding day or carrying corporate VIP’s in our luxury class minibus hire with driver vehicles, we have the experience needed to carry out all your transport needs. We have been able to coordinate groups ranging from 8 passengers to 100’s of passengers. Call 0800 112 370 to discuss with a member of our team or fill in our online quotation form by clicking here. Very basic, something to get you from A to B. Minibuses are Ford Transit or Equivalent and coaches would be like school buses. Recommended for short distance travel only (less than 50 miles each way). 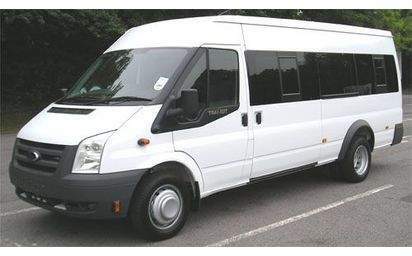 These make great minibus taxis for small and medium sized groups who want to hire a minibus on a budget. Mid-range vehicles, perfect for corporate travel or long distance travel. Less than 7 years old, Volkswagen or equivalent. This is our most popular minibus rental service because of the affordable prices and the extra features compared to the standard class. Top of the range vehicles, for special occasions, corporate travel and VIP’s. These vehicles will be less than 3 years old and will be Mercedes or Equivalent. These are great for businesses and special occasions because they have all the luxury you would expect, and they are like a mini coach with the amount of passengers they can fit in. 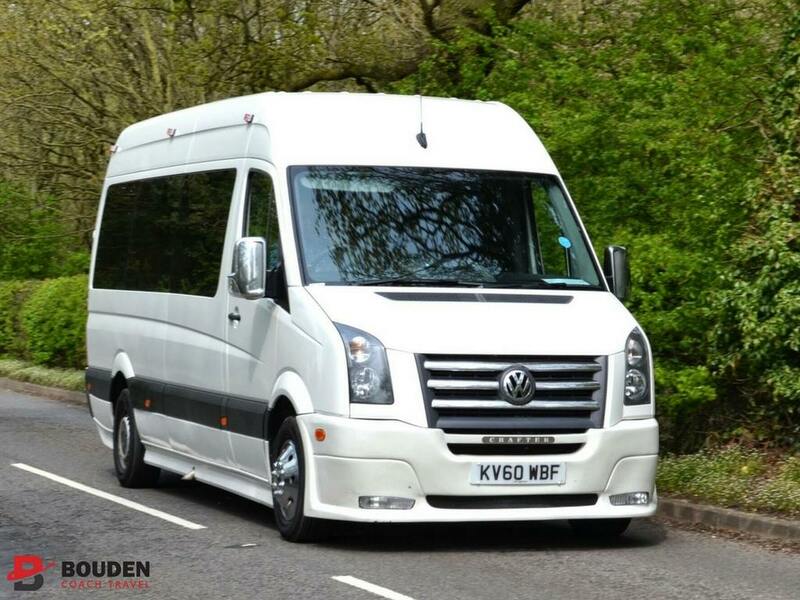 So whether you want to hire a minibus for a day or you want to hire a minibus for a weekend we have the right vehicle for you. If you have a small group then we have 8 seater, 9 seater or 10 seater standard and executive minibuses available. If you have a medium sized group then we have 12 seater, 14 seater, 15 seater or 16 seater standard and executive minibuses available. If you have a large sized group then we have 18 seater, 19 seater, 20 seater and 24 seater luxury minibuses available. These are like a mini coach with all the VIP features you would expect. So whether you want to rent a small minibus or a large minibus we have got you covered. All of our vehicles are driven by smart, professional and fully qualified staff. Vehicle drivers are the face of Bouden Travel Ltd so we have made sure we employ only the best minibus drivers in the industry. They are trained to a very high level of customer service, knowledge of vehicles and the roads. All drivers are CRB, alcohol and drug use checked on a regular basis to keep up with company policies. Call 0800 112 3770 for a quote, a member of team our team would be more than happy to go through you’re requirements. You can hire a minibus with a driver right now using our online quotation form by clicking here or give us a call on 0800 112 3770.